Case in point? Geofilters from Snapchat. Want to be a Snapchat superstar? You can even design your business’s own Snapchat geofilters for extra impact! The word geofilter might sound familiar. “Geo-” means “earth”, and as you might guess, a geofilter is a Snapchat filter that’s available only to users within a defined geographic area. On-Demand Geofilters are submitted to Snapchat for review by businesses, and they can include business names, logos, trademarks or other business marks. There is a fee for making your accepted geofilter available, and it varies depending on where and when you want your filter to be active. Because an On-Demand Geofilter is valid for up to 30 days, it’s an ideal way to promote a specific business event, like a product launch, store opening, seasonal promotion, workshop or program. Careful planning is required for success in using On-Demand Geofilters for your business. 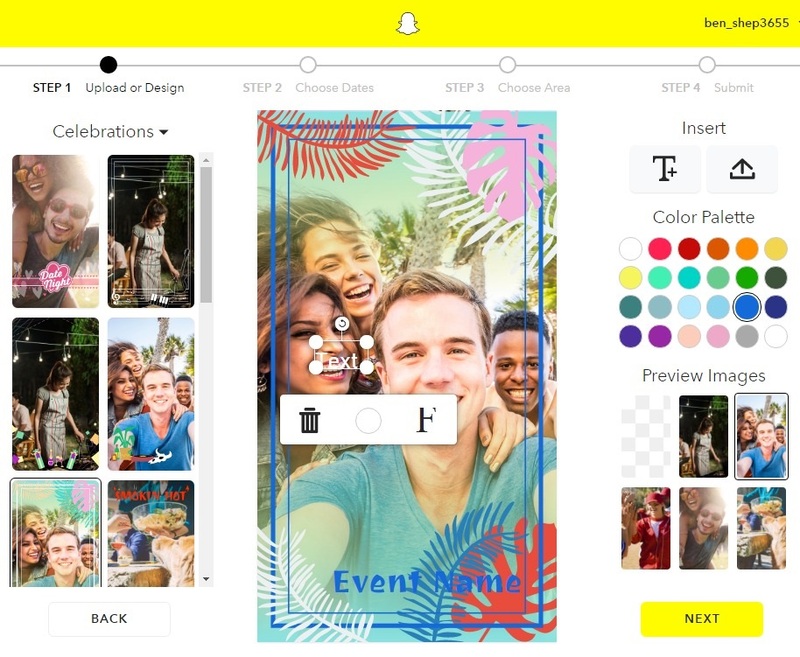 Snapchat does offer templates to get you started, in Photoshop and Illustrator formats, but users are welcome to design their own filters from scratch as long as they meet standards for dimensions and file size. 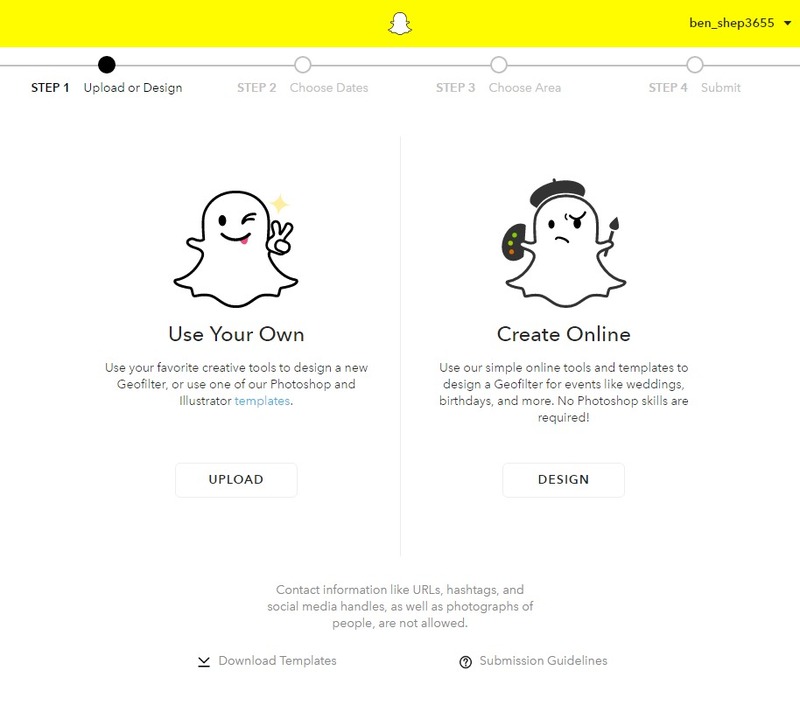 Snapchat also offers online design tools, so there’s no experience necessary. In general, geofilters can’t be too big and cover too much of a snapped image. While a business’s geofilter can include promotional elements like logos, Snapchat does not approve filters with hashtags, URLs or social media handles in your design. When you create a geofence (the geographic area within which your geofilter will be available), it needs to be within a 20,000-5 million square feet range. Consider the footprint of your business, event, or customer base. Remember, your geofilter will be available to Snapchat users only within that specified geographic area, so map it carefully. You may want to avoid empty lots but capture parks because people are more likely to be there, for example. On-Demand Geofilters offer a highly targeted opportunity to make in-roads with regular and new followers or Snapchat users in your area. 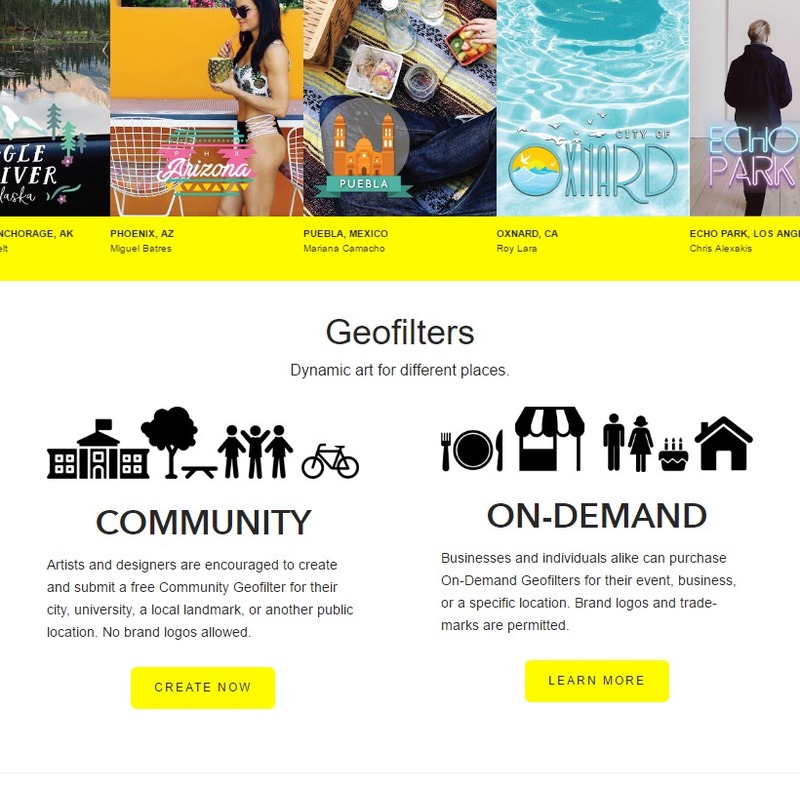 Setting up an On-Demand Geofilter is easiest from a desktop computer; it’s not impossible to work from a smartphone or tablet, but it is a lot harder. Log into Snapchat: https://www.snapchat.com/geofilters. 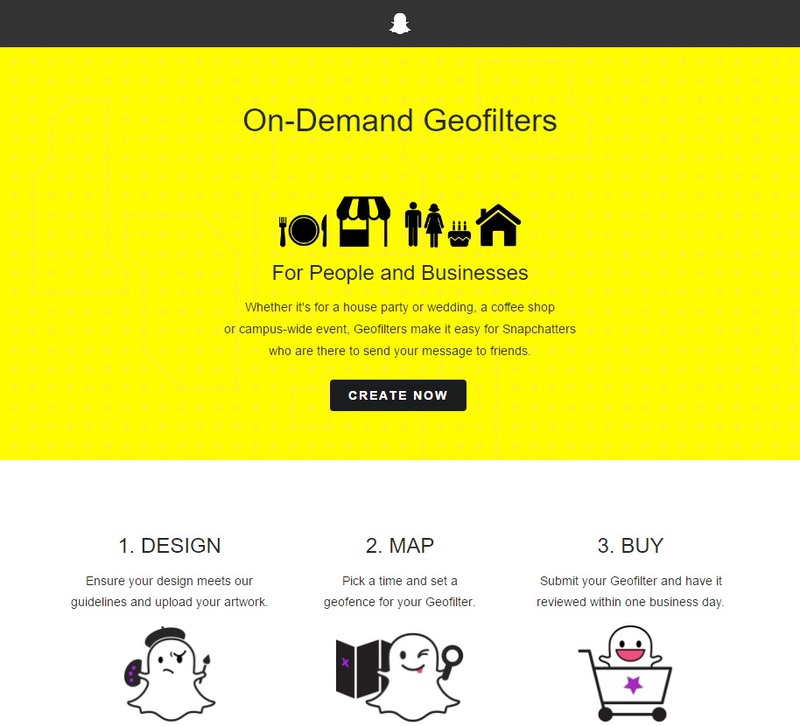 Scroll down and choose the type of geofilter you want to create, Community or On-Demand. Businesses will choose On-Demand. When you choose to create an On-Demand Geofilter, there are two options – create your own and upload it, or use a canned design that can be tailored to your needs (you’ll do the tailoring but don’t stress about it because there’s no design experience necessary). Filters must be 1080 x 1920 pixels in dimension, and no more than 300KB in size. Files must also have a transparent background, and non-stylized text is limited to two lines, maximum. Success tips include filters that are closely aligned with a business or event, yet creative and with the kind of broad appeal that will make Snapchatters want to use your filter. If you choose to use the online tools, you’ll click through to a page where you can choose a template and personalize it by adjusting color, text, and font style. The nice part about using the templates is that you can even test your business’s geofilter on sample Snaps, ensuring that your geofilter looks exactly the way you want it to before it goes live. 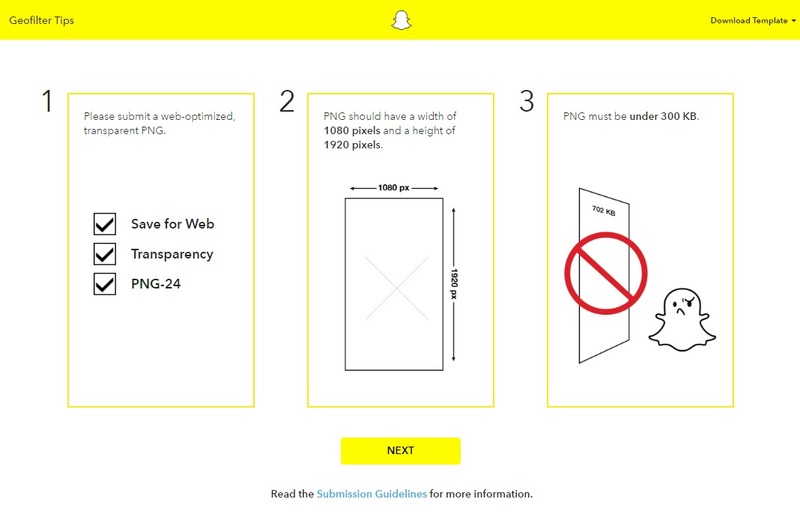 Scrolling down further on that page offers a link to the Submission Guidelines page; there are some helpful tips here for crafting geofilters that get approved, and reviewing it is highly recommended. And the next screen presents you with a map so you can set the perimeter for your geofilter and gauge the price. Type your desired location in the search box and then tap Draw Fence to activate the drawing tool. Continue tapping along the map until you’ve set the perimeter (remember to close the shape). Again, choose your map area carefully. Are there major streets in the area? Is there a lot of pedestrian traffic in a particular part of the area you’ve chosen? Once you’ve completed the shape of your geofence, you’ll see the square footage and price boxes populate with your cost. The date and time settings can also be adjusted on this screen, too. You’ll notice that the price can change based on adjustments to the Draw Fence area, as well as changes to the day and time settings. It’s worthwhile to make a few changes, expanding or limiting the time your filter is available, and expanding or limiting your geofence to see how it affects the price. Once you’re satisfied, clicking through to the next page allows you to finalize your order. Your order details page is where you’ll choose a Personal or Business geofilter type; since you’re creating a geofilter for your business, choose Business. The details of your order will be confirmed and you’ll pay by credit card here. On-Demand Geofilters are a supremely easy way to create and implement a sophisticated and tailored marketing or outreach effort for a business. 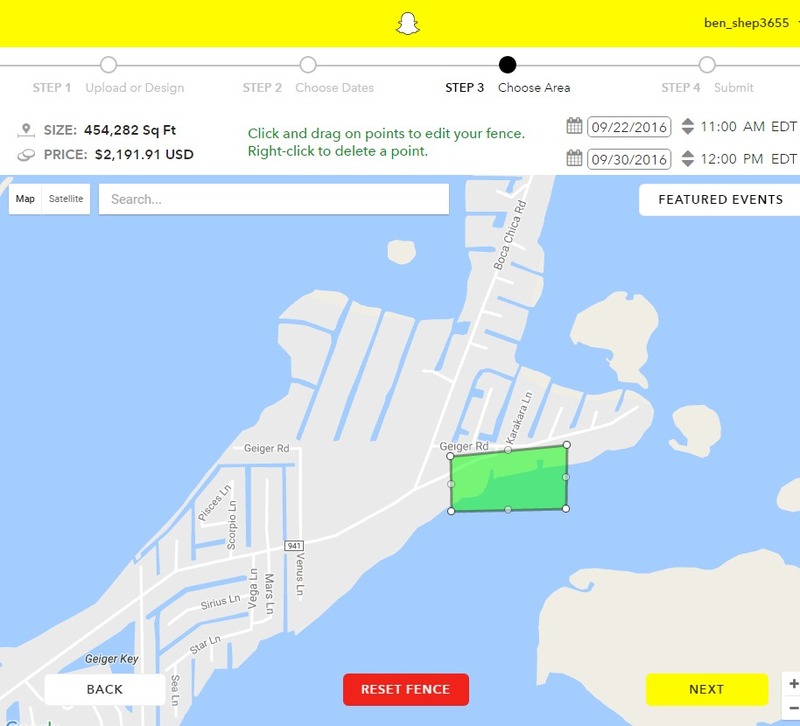 In order to measure the return on your investment, you can log back into Snapchat after the completion of your geofilter campaign to gauge the results of your efforts. The metrics you have access to include the number of times your geofilter was used, and the number of times your filter was viewed after being applied to a Snap. It’s a good idea to click the tiny On-Demand Geofilter Terms and Conditions and at least skim them – there’s a lot of pertinent information here about the availability of On-demand Geofilters and the potential for automatic renewal of your order. Snapchat’s geofilters add a creative and engaging option for users who’d like to take their business’s connection with fellow Snapchat users to the next level. The process is straightforward and requires only a minimum of design and implementation skills, while providing businesses with a basic level of metrics for use in revising future On-Demand Geofilter campaigns as needed. Do Links from Social Media Shares Improve SEO? 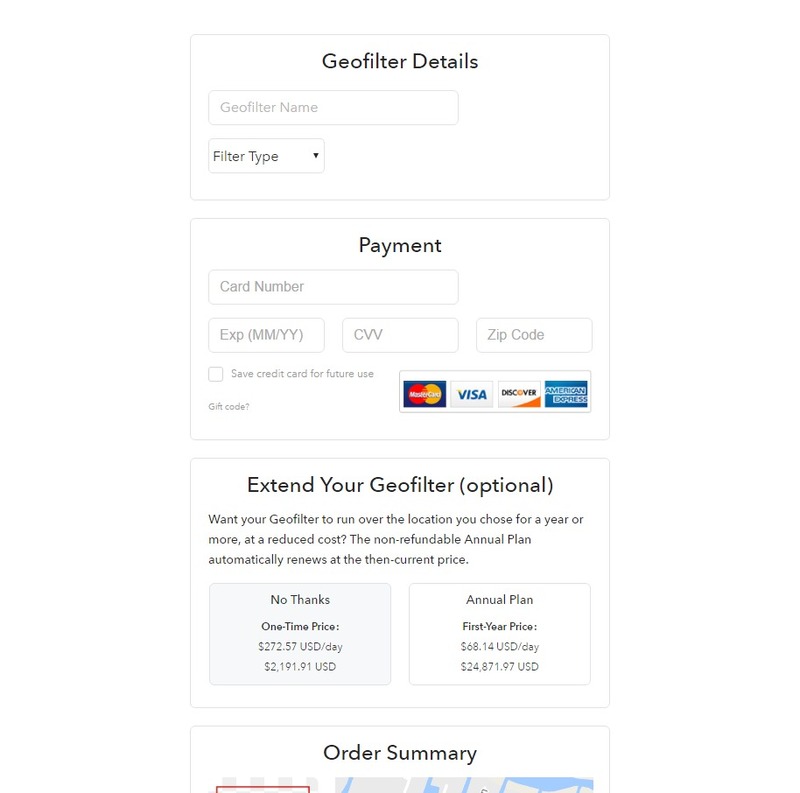 I would recommend FineFilterz.com as they have unique and fully-customized Geofiletrs.